City of Kelowna wins SEAR award for Mission Creek Restoration Initiative! 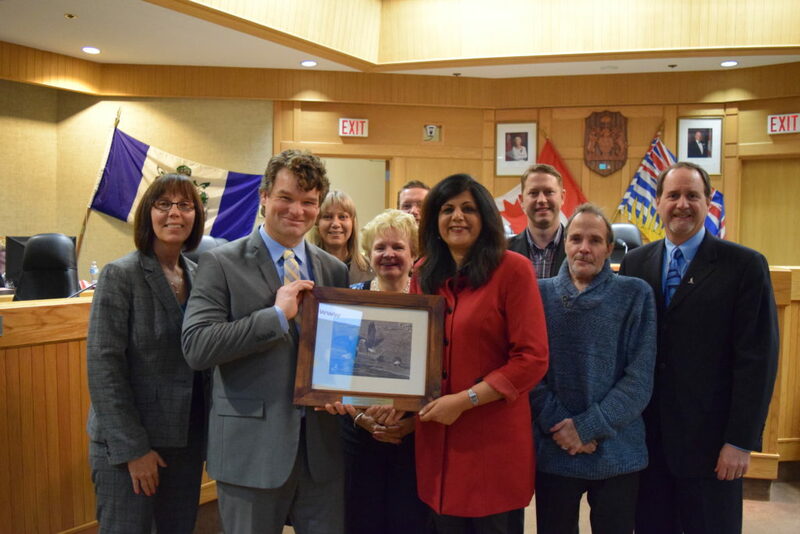 City of Kelowna Suburban & Rural Planning Manager Todd Cashin (holding plaque) shares the award with City Councillors. Comox Valley Regional District (Partnership Project to update Comox Valley Sensitive Ecosystems Inventory Assessment and Map in the OCP). Since its formation in 2009, the group has been working together to find ways to protect species and ecosystems at risk on private and local government lands.